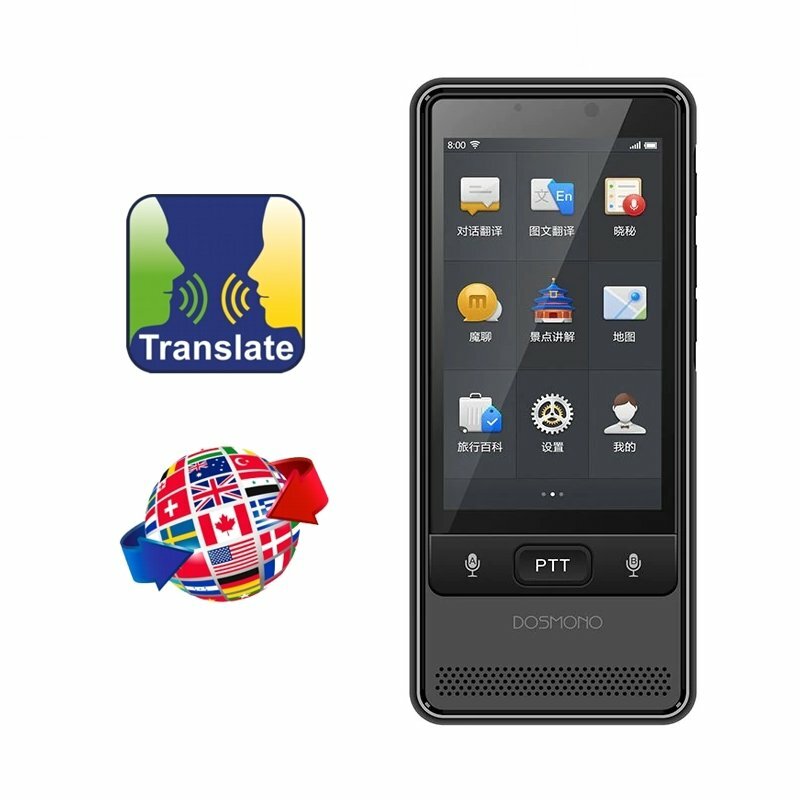 Multifunctional voice translator of speech and photos - DOSMONO S501 with WiFi/4G is equipped with front and rear camera and a touch screen 3,5" and translates 72 languages. 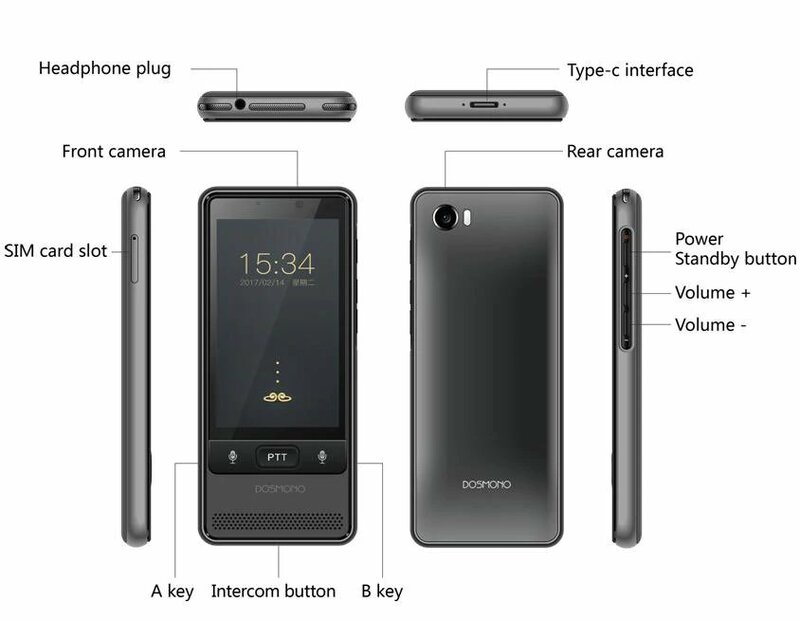 Multifunctional voice translator of speech and photos - DOSMONO S501 with WiFi/4G is equipped with front and rear camera and a touch screen 3,5", it can simultaneously handle voice translation in 72 languages and in 8 languages it translates the taken photos of texts. 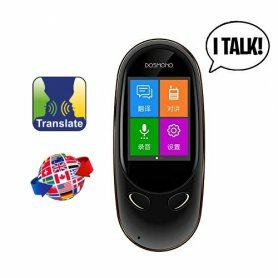 This is an innovative, multi-functional device with electronic two-way translator that includes, except other things, "press to talk" function, a travel guide, WiFi connection and 4G network and many other additional features. And you can start translating everything you need. You do not need an interpreter, everything you need is online voice translator. 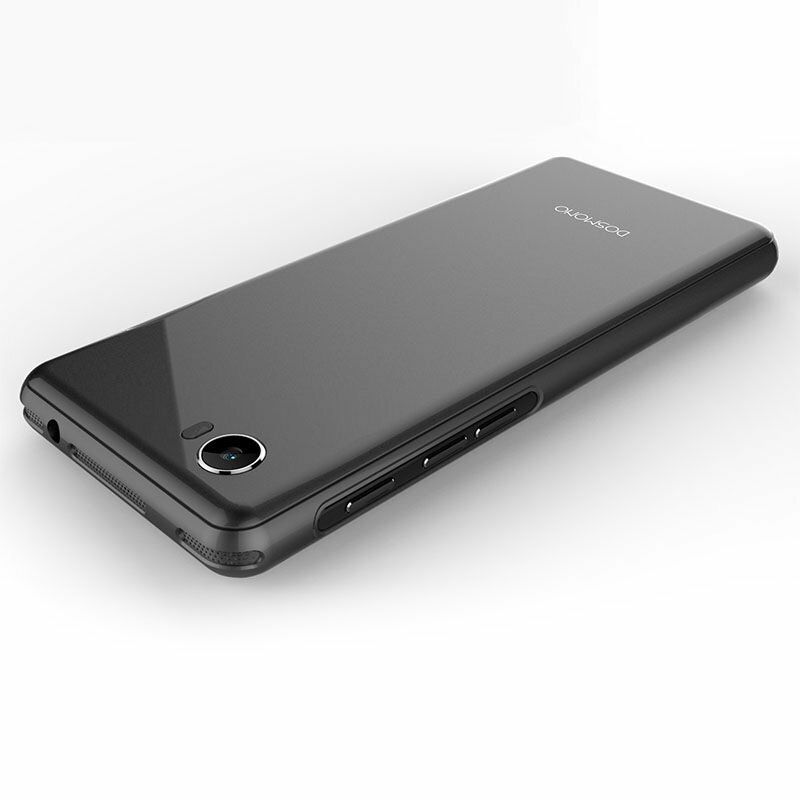 The full color 3,5" touchscreen provides convenient control of individual device functions. 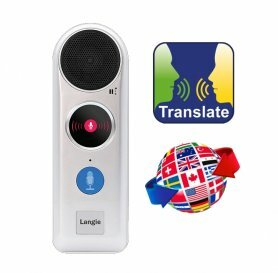 Voice translator has built-in front and rear camera to capture not only high quality pictures, but also to capture text in a foreign language, which is translated to preset language. For translation of the taken photos of text and sentences are supported these 8 languages: Chinese (Mandarin), English (United States), German (Germany), Spanish (Spain), French (France), Japanese (Japan), Korean (South Korea), Russian (Russia) . 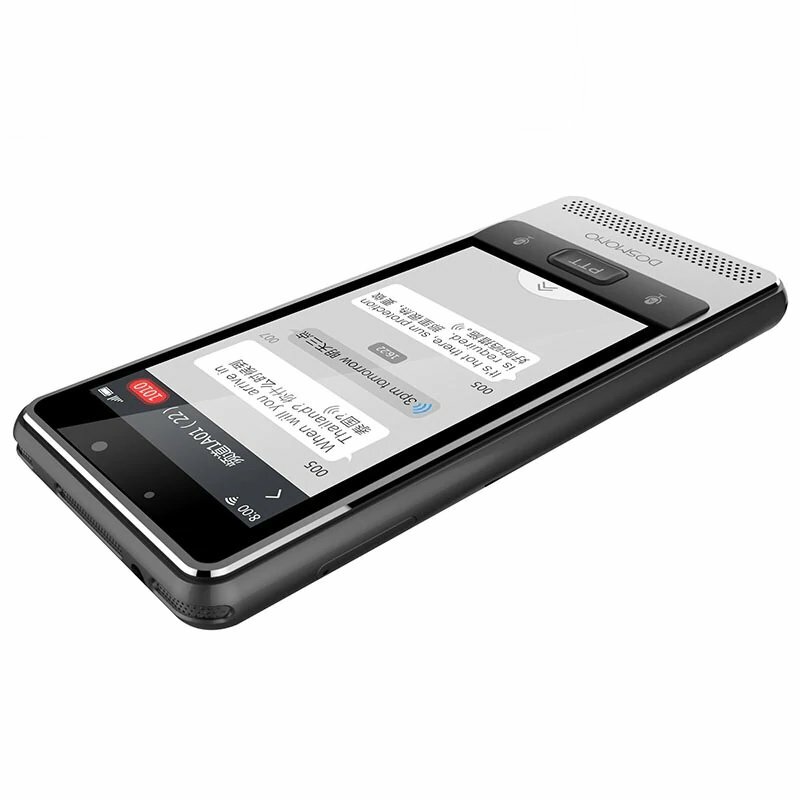 Revolutionary online translator is suitable for everyday use in life and work thanks to its practical and high quality design. With cutting-edge technology in the world from company Microsoft Azure, the translation recognition rate is up to 97%. With support of 72 languages, your travel limits will be unlimited, and you will no longer be limited with worries to travel to the foreign countries due to the language barrier. Manuscripts, documents, logos, inscriptions - all this will be translated by translator DOSMONO S501 without any problems. Simply take a photo of the text you want to translate and the display will show a translation into your desired language. The device disposes with a travel guide, with which you will not be lost in any country. It will give you enough information about the visited country to know the local history, geography, climate, culture, food, and so on. It also recommends tips for trips, sports activities or tourist trails. 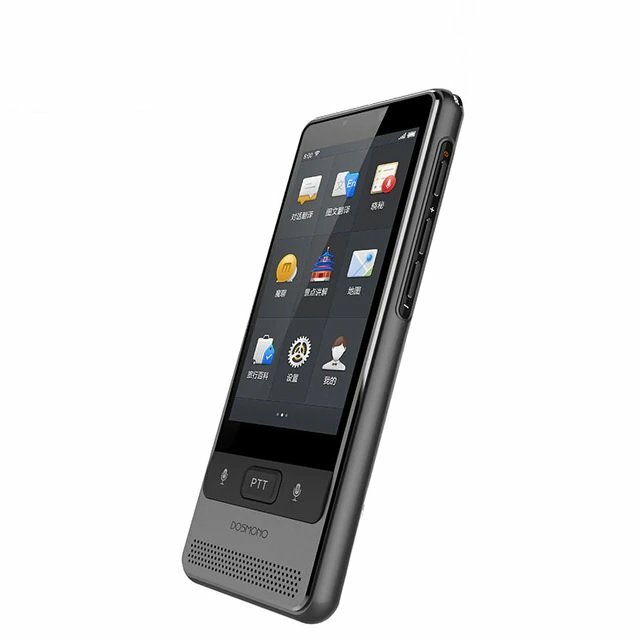 Based on the global 4G network signal, you can create a communication group between users of DOSMONO translators. You generate a communication code to create a private group, and you can communicate with your friends or business partners. You can create up to 6 channels to meet multi-step requirements during business meeting, travel, and so on.